We're keen to dispel the myth that employment lawyers are only there for when things go wrong. We regularly provide HR advice, support and training to some of the region's leading businesses and organisations. Our legal knowledge and expertise can be called upon by HR teams at any time and a member of the team will always be on hand to discuss your employment law issues or concerns. We appreciate that life for HR professionals can often be difficult and that from time to time an outside opinion or guidance is required. Our HR support and legal advice is also available to smaller businesses and SME's where there is no internal HR function. 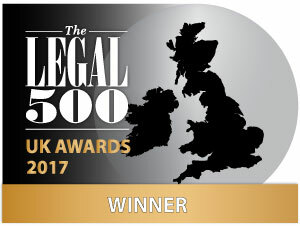 In addition and unlike a number of other organisations, businesses that come to us for HR advice and support do so safely in the knowledge that they will be dealing with fully qualified and specialist HR solicitors who will take the time to get to know their business and most importantly who are able to give advice based on their own experience - not from the contents of an 'Employment Law' manual! You'll find our lawyers plain talking and approachable and we're happy to talk to businesses about setting up a tailored annual retainer for the provision of ongoing HR support and advice. We work closely with our clients' HR directors and internal HR teams to deliver cost effective, topical and engaging Employment law training and can tailor our courses to meet your individual needs and requirements. Please click here to find out more about our Employment law training services. We are proud to offer HR support services to Yorkshire based businesses from our main offices in Leeds, York and Sheffield. If you are seeking legal advice, call us today or contact us using the details below.